Probably the mightiest experience in the world: The Edge of Space flight in the MiG-29 Fulcrum. Depending on weather and temperature conditions, you can reach up to 20-22km altitude, though at least 17km is guaranteed. Only astronauts and cosmonauts aboard the ISS will fly higher at this point. You can clearly see the curvature of the earth. The atmosphere looks like a blue fog, covering the earth far below. Above you, the sky turns very dark, sprinkled with innumerous stars. An incredible view which only a few people were able to enjoy so far! But how does the MiG-29 Fulcrum even climb to that altitude? 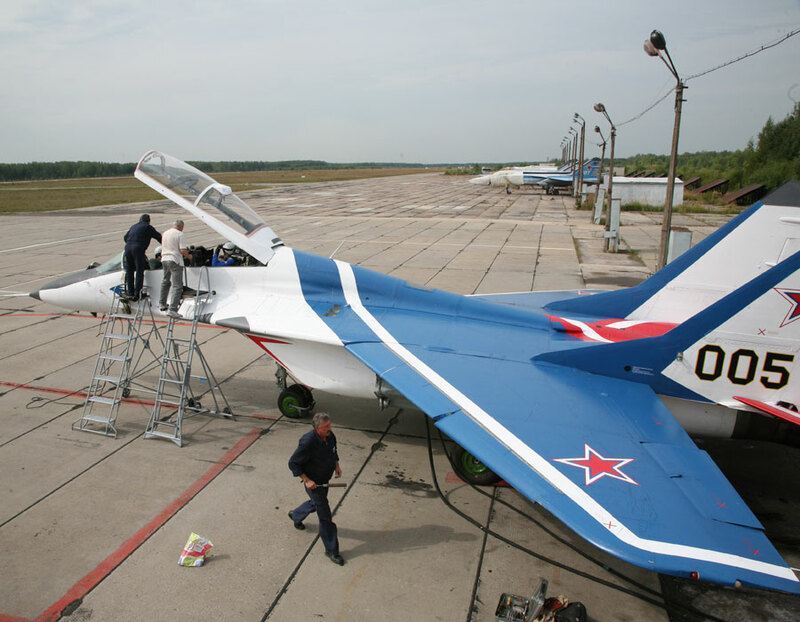 After all, the service ceiling of the legendary MiG-29 is significantly lower. The answer is pretty simple – The MiG-29 is climbing to that Edge of Space flight altitude at supersonic speed and at a climb rate up to 330m/s – in a ballistic flight path. 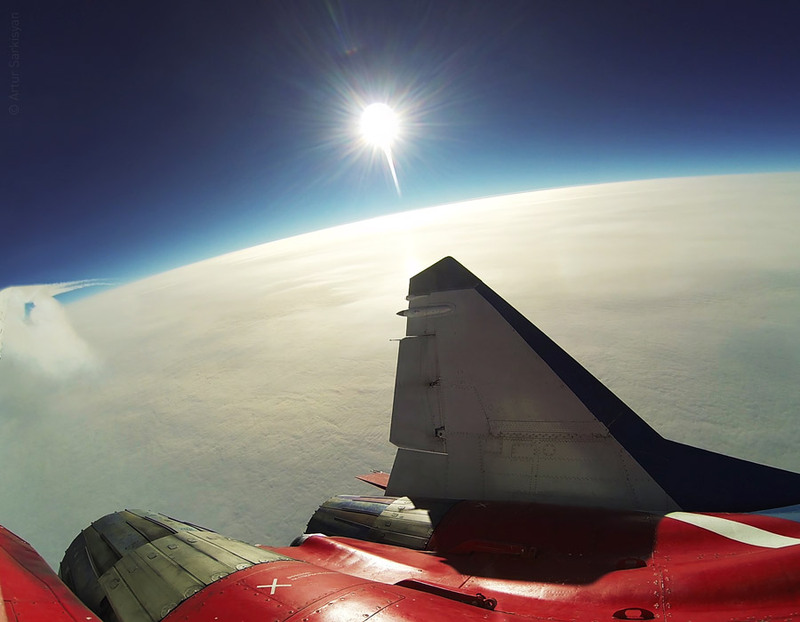 So to say – you are sitting in a flying cannonball during your stratospheric MiG-29 flight. And the view you’ll enjoy at the peak of this flight is breathtaking. You’ll never forget this moment. To get a taste of it, have a look at the photo collection and the Edge of Space video on the right-hand side of this page. The Mikoyan MiG-29 Fulcrum is currently the only plane available for supersonic flying with Civilians. So if you plan to break the sound barrier – you either become a military pilot or the MiG-29 Fulcrum flight is waiting for you! There is no other alternative. The Mikoyan MiG-29 Fulcrum is a modern air superiority fighter jet of the 4th generation – comparable to the Boeing F/A-18 Hornet. But it is more powerful than Western counterparts and unbeatable in dogfights. A German Air Force (Luftwaffe) colonel who was able to fly the MiG-29 after the reunification said: “that’s a rocket – as simple as that.” The fact that MiGFlug can offer flights in such advanced and powerful military jets is nothing short from fantastic. Even today – EU members like Croatia and Rumania still have the older MiG-21 as the backbone of their air forces. High speed low level flying over the runway – your spectators will be very impressed! *Thanks to a thrust/weight ratio of 1.09 – the MiG-29 gains speed during vertical climbing! 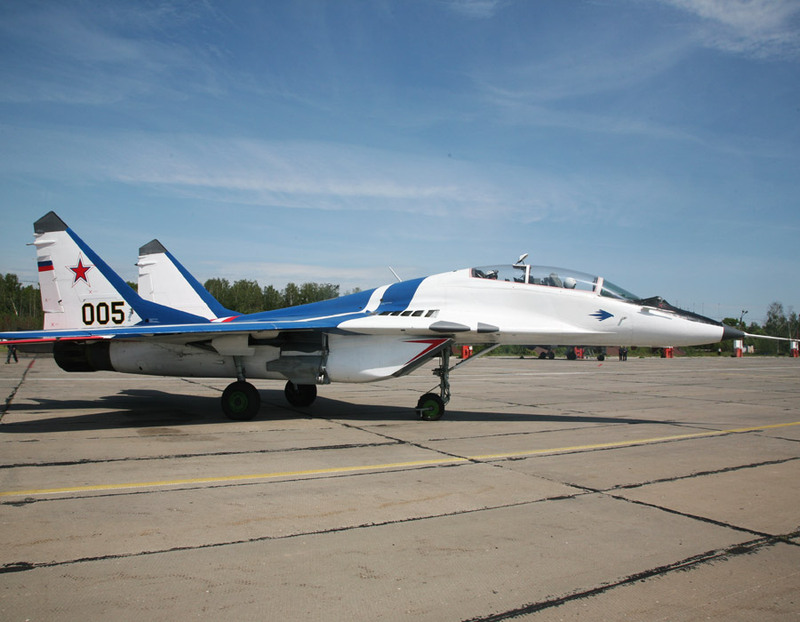 Included in the Edge of Space flight experience in the MiG-29 is everything except the airline flight to Nizhny Novgorod (an hour from Moscow), hotel and Visa. But with our specialist you won’t feel anything of the hassle involved – she’s here to help getting the best, custom-tailored travel package. Ready for your Edge of Space Flight Adventure? Complete the booking form and you will hear from us shortly! The best gift for the best person in this World – flying in a real fighter jet to the Edge of Space!